Promo of the Dance and Urban Experimentation Company's "Mystes" Show , entitled " Chapter 1 " (2018) . Direction & Coreography: Gigi Nieddu. A small summary (behind the scenes and on stage) of "Lucida Follia", presented by Mystes Crew on the occasion of Uffizi Live 2017 at Uffizi in Florence. Promo of experimental Urban Company Mystes Show , entitled " Psychosis " (2016) . 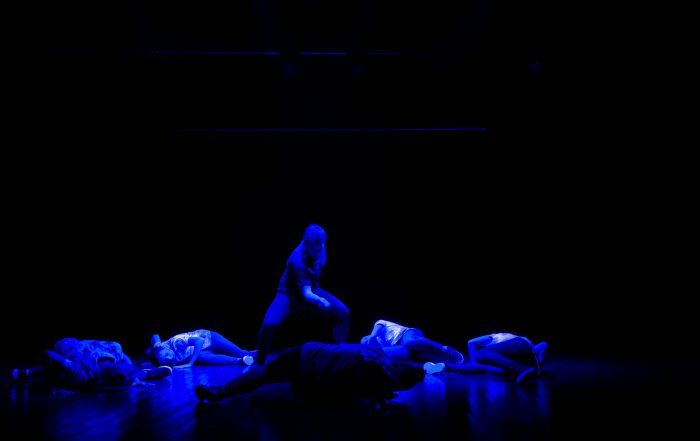 Promo of experimental Urban Company Mystes Show , entitled " Third Dimension " . 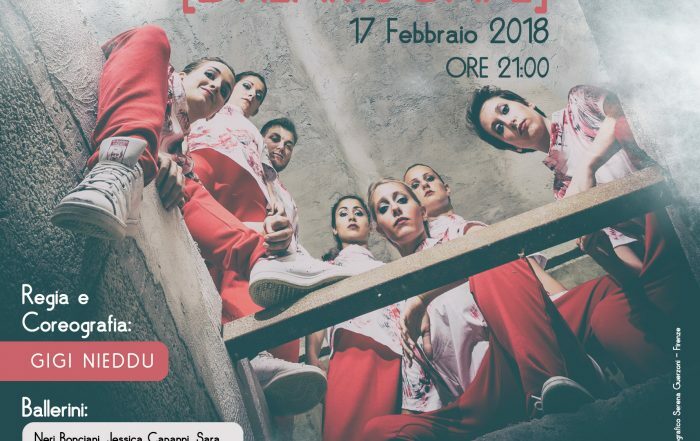 Primo lavoro dei Mystes del 2015 presentato durante la serata "Omaggio a Firenze Capitale" del "XXVI Florence Dance Festival 2015". 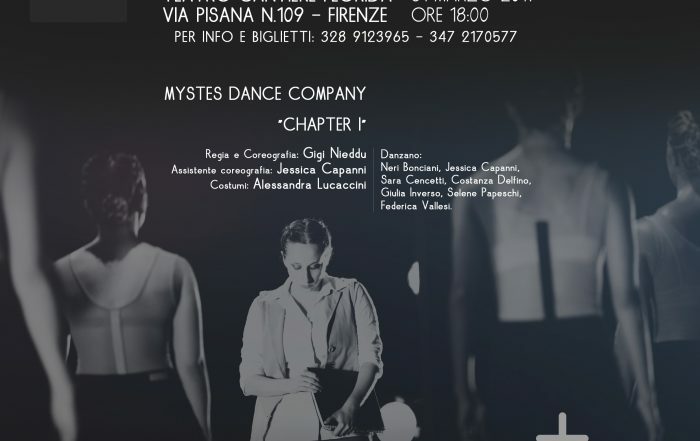 Ultimo Lavoro dei Mystes del 2014 presentato durante la serata "Quintet D'Autore" del "XXV Florence Dance Festival 2014".